Time to start learning Chinese? You are at:Home»Carriers»Time to start learning Chinese? The inevitable march towards doomsday continues for U.S. dominance of the high seas, according to a growing chorus of critics who say China’s aggressive stance on territorial claims in Asia threatens to file down the teeth of the Global Force for Good. It’s rather a trendy opinion to hold these days, especially with all the clamor over China’s George Washington-neutralizing mega power missile. Pax Britannia is just a memory. What of Pax Americana, should the Chinese escalate their aggressive territorial claims in the East China Sea or South China Sea? Will a US commander in chief be able to “send in the carriers,” if the Chinese indeed have a “kill weapon” capable of taking out a US carrier with one hit, as reported by the US Naval Institute last year? 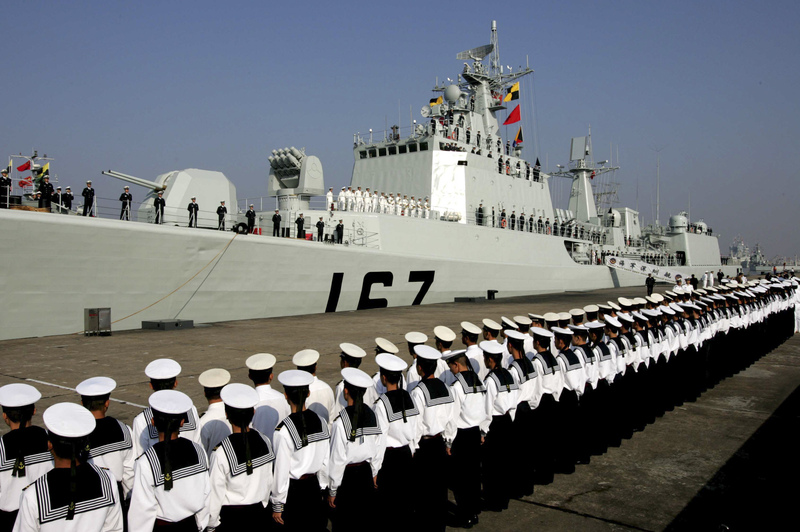 An emasculated naval force in the Pacific limits US military options to deter China. It even more greatly limits US diplomatic deterrents. Bencivenga argues, essentially, that America’s spiraling debt will make dealing with China’s naval expansion all but impossible. So when you go to the voting booth, he says, make sure you vote for someone who will cut spending … except spending on the Navy, of course.